Compass // Joan Marc LL. 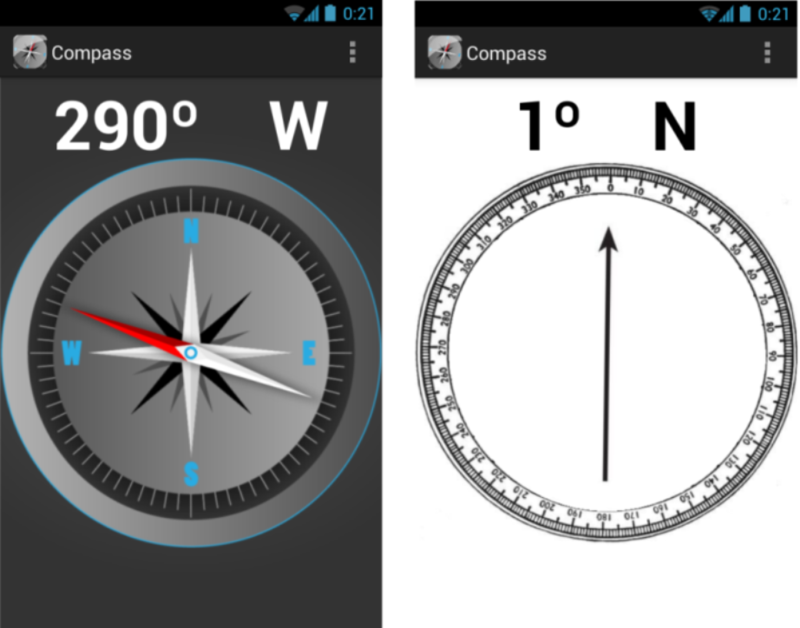 A.
Compass uses the accelerometer & the geomagnetic sensors to make the arrow always point to the north. 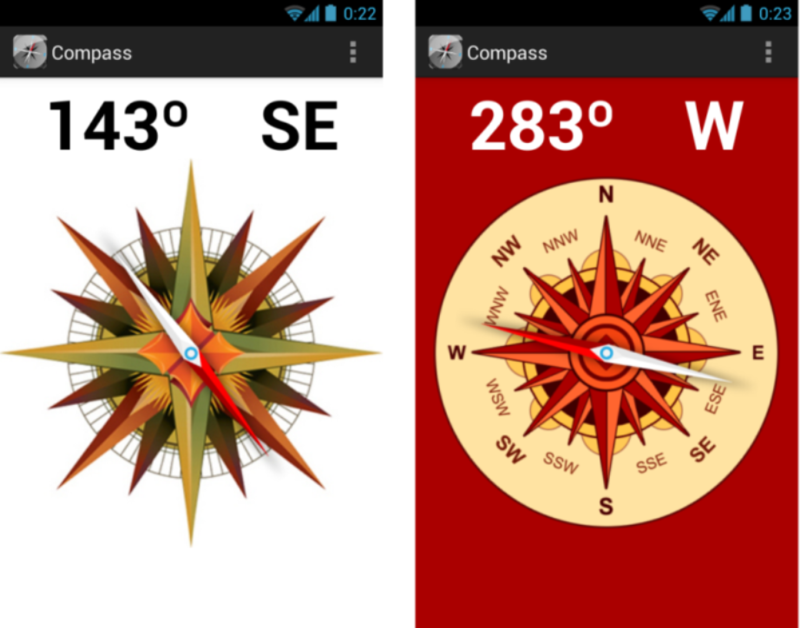 The application comes with 4 themes: classic, aviator, rose and past.